Our Santa Monica beauty is still a New Yorker in many ways. Julie, formerly of Sutton Place, still gets The New York Times. She doesn't just tend to her garden and ignore the world...or the daily indignities of the Trump administration. Among the latest...that Judge Kennedy's retirement may only SEEM inopportune. People wondering how the man could retire when he's so desperately needed to maintain ANY kind of balance on the Supreme Court should look behind him. There's his son, a "special guy" in the world of The Donald. During Mr. Kennedy’s tenure, Deutsche Bank became Mr. Trump’s most important lender, dispensing well over $1 billion in loans to him for the renovation and construction of skyscrapers in New York and Chicago at a time other mainstream banks were wary of doing business with him because of his troubled business history." Perhaps, Justin time, and returning the many favors Trump owes the Kennedy clan, Judge Kennedy leaves the bench fully aware that The Donald will insert a crony, one who may overturn Roe v Wade. Trump's appointments to power positions have been all about favoritism and nepotism. While most of the incompetents have been laughable and many have disappeared as quickly as they arrived, a Supreme Court judge is a different matter. Mitch McConnell successfully blocked President Obama from appointing a new Supreme Court judge, and now...Deutsche Bank's Mr. Kennedy can call a debt repaid. 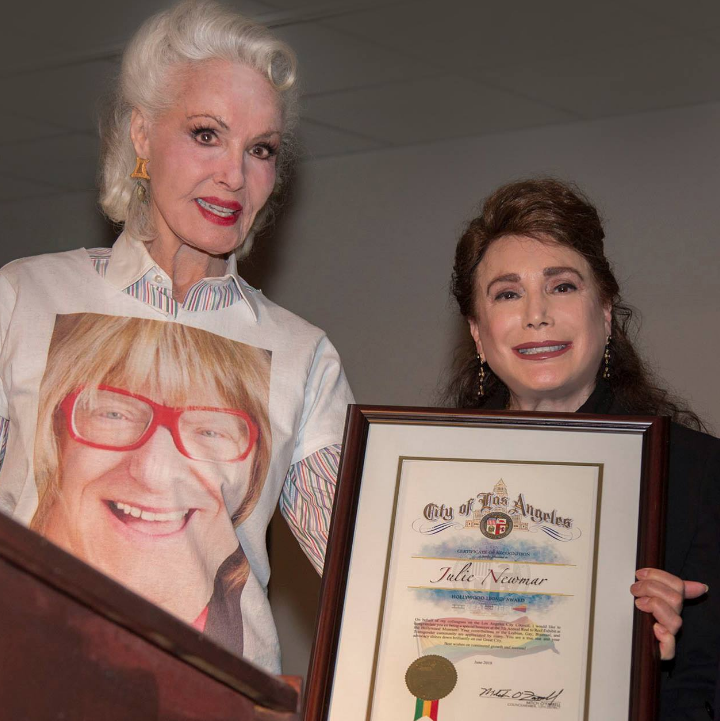 Recently Julie received an award from the "Hollywood Museum." Hollywood is Award City, so hardly a week goes by without somebody getting an award somewhere. But not everybody accepts an award dolled up...and wearing a t-shirt. 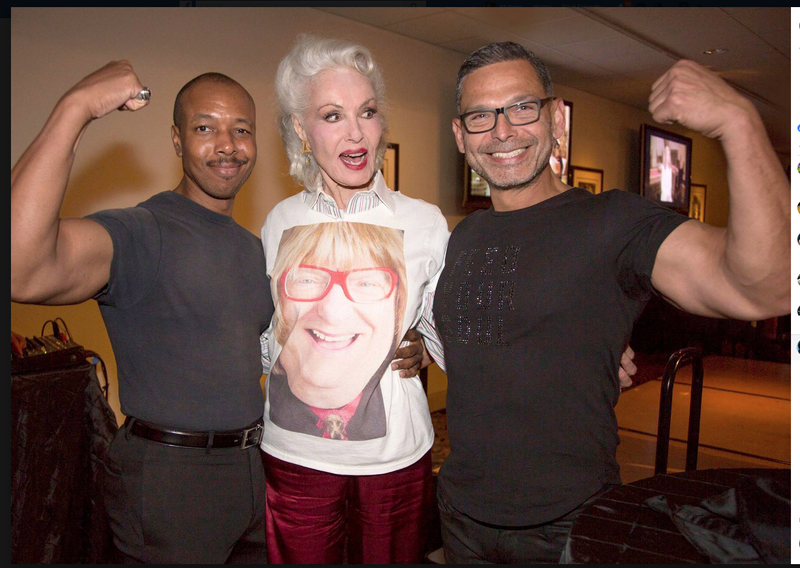 Fans were asking, WHO was on that shirt? It's the clever Bruce Vilanch, who inherited Paul Lynde's chair when "Hollywood Squares" was revived. At the time he was one of the few gay comedians who was openly out of the closet...something other quiz show gay funnymen (Lynde, Charles Nelson Reilly, Rip Taylor) didn't quite do. Westworld admiringly dubbed him "bursting with gayness," and applaued him as "one of the first openly gay comedians." He's written for campy females, most especially Bette Midler, and has put some wit into the mouth of tart-tongued Whoopi Goldberg, and openly lesbian Lily Tomlin. He also worked with Robin Williams, who notably performed in drag as "Mrs. Doubtfire." Robin's remark about ballet dancers wearing Danskins so tight "you know what religion they are" was probably a Vilanch gag. Years ago, Julie's audience was probably 90% straight. That included her rather flabby "henchmen" on the "Batman" show. Now her henchmen are gay. "Batman" may have been "campy" back in the day, but today, "campy" is another word for "gay" and...well, look at these guys. They aren't pussyfooting around, showing off their muscles. 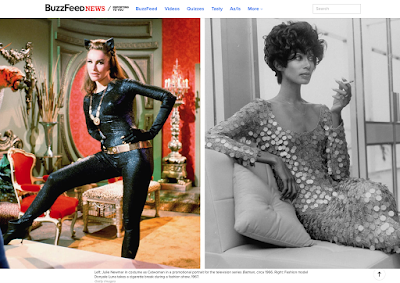 Buzzfeed published an article on the SEXUAL REVOLUTION OF THE 60's. Julie has had a movie named after her. 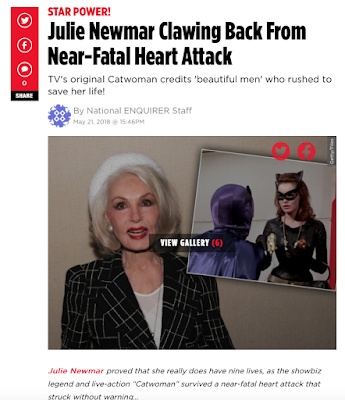 She’s had figurines made of her Catwoman character. 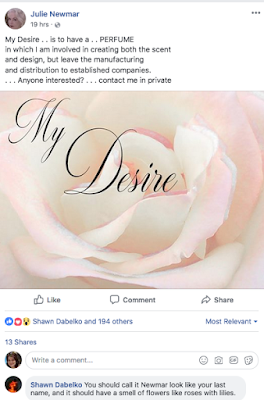 She's had a rose named after her. She’s had a brand of wine named after her. But…no perfume. 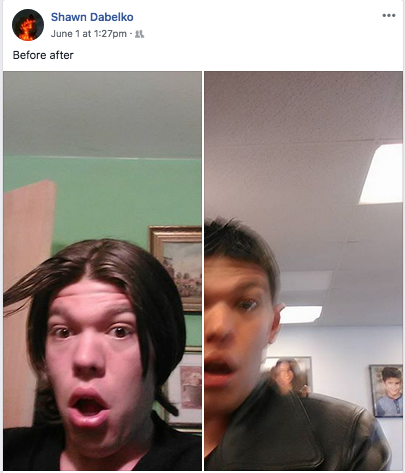 Thus, she posted on Facebook asking for help. Surely, in this world where there’s Taylor Swift Enchanted ($68 for 4 ounces) and Kim Kardashian Glam ($25 for 4 ounces) and Ariana Grande ARI (also $25 for 4 ounces), Rihanna Rogue Love ($30 for 4 ounces), Mariah Carey M ($20 for 4 ounces) Britney Spears’ Curious ($15 an ounce) or Nicki Minaj PinkFriday ($18 for two ounces) there’s room for JULIE NEWMAR. If you’re thinking the brand can be called “Catwoman,” well, probably not, unless a deal is struck with DC Comics which owns the trademark. 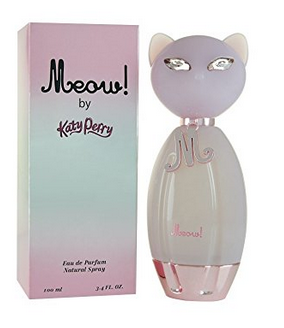 If you’re thinking “MEOW,” sorry, that’s owned by Katy Perry ($17 a 4 ounce bottle). When Julie had an emergency visit to the hospital, it wasn't long after that she announced the problem on Facebook. Someone else might not have shared such intimate details, but Facebook friends are...friends. If not family. 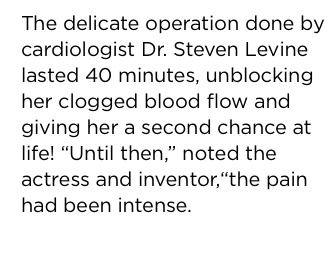 Later, she told the story to the National Inquirer. 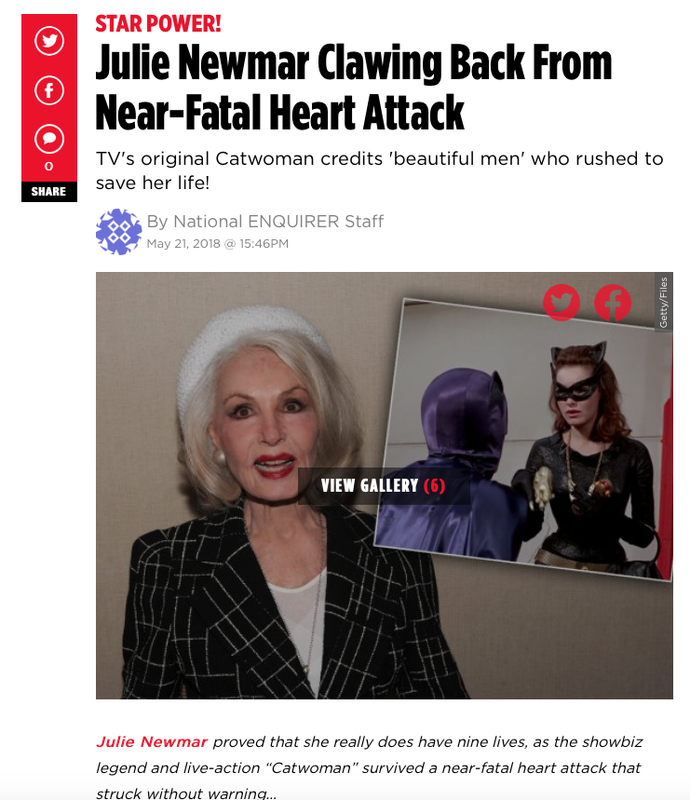 The tabloid IS known for hyperbole, but any heart attack has the potential to be "near fatal." It's been a worry for managers and agents to shield the public from any health scare involving a client. After all, studios are notorious for not wanting a project delayed by an illness, or a star having to drop out after filming's begun. No such concerns for Julie. Why not be honest, get the news out there, and perhaps inspire someone to get a check-up? Facebook has gotten some bad publicity lately, with people calling it a devious area where anything can happen (even Russian interference with an election, or the harvesting of personal information). Some call it a mammoth waste of time. For others, it's a rare chance to equal the playing field and make friends with celebrities, and exchange information! 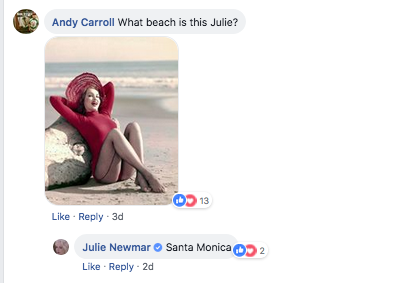 When Julie posts a cheesecake photo taken 60 years ago, and a few words of advice, you can be sure of two things: the advice will be ignored, and the photo will produce drooling responses of glee. It's always nice to see the thoughtful, creative, clever and tasteful responses these photos get. And since Julie IS on Facebook, friending people, guys feel they can be as familiar with her as they please. That's what friends do. 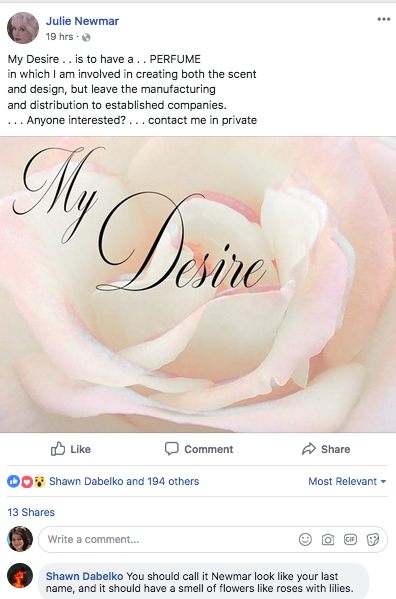 Hundreds and hundreds of "likes" and comments! As Murray the K said 60 years ago, "It's what's happening, baby!" Super fanboy Shawn didn't quite make the cut on this sample of responses, but he does always try to be the first to get Julie's attention, so here's a photo of him, showing off his new haircut. 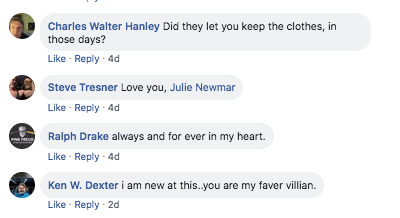 It's always a joy when Shawn (and everyone else) is quick to offer a MEOW, or a "You were the best Catwoman" or identify their locale: "I love you I am in Argentina!"